In English teaching-learning, students should master four language skills. The language skills are listening, speaking, reading and writing. 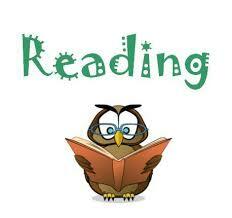 As a language skill, reading has significant role that influence the other language skills and components. In addition, the success of learning any subject matters depends on the competence of reading comprehension since it functions as a major tool for finding and understanding information. Reading also has the value to help students learn to express their own thought and to make them familiar with the language pattern and ways of using language efficiently. Thus, mastering reading skill is very important. In school based curriculum or “Kurikulum Tingkat Satuan Pendidikan (KTSP) 2006”, reading is one of language skill that should be learned and mastered in any level of education from elementary up to senior high school. Moreover, learning reading skill is more focused at senior high school because reading is to get information and knowledge and KTSP 2006 expects junior high school students to be able to gain their knowledge which help them to face in senior high school and also university level. It means that reading is the most important skills to be mastered by senior high school students. Rebecca (2005: 8) Reading is fundamentally important for success. It opens the door to personal freedom or shuts the door to opportunity. Learning to read is a means to an end. If children have difficulty learning to read early, how can they be expected to excel in other subjects as well? The best prevention of reading difficulties, therefore, is early intervention strategies at the ??????? Belum ada tanggapan untuk "THE EFFECTIVENESS OF SMALL GROUP DISCUSSION IN TEACHING READING COMPREHENSION IN DESCRIPTIVE TEXT AT THE EIGHTH GRADE OF SMP NEGERI (Pre Experimental)"